Product Detail Summary: The Porsche GT3 RS is the high performance version of the Porsche 911! The GT3 RS has an incredible 300 horsepower-to-tonne ratio and capable of a top speed of 193 mph. This sleek speed machine is painted electric blue with red racing stripes down the center and bottom of the car! Race your customized #11 Porsche to the finish line! Customize your GT3 RS with cool interchangeable parts like a vented racing hood or thin-spoke black rims to make your ride truly unique! 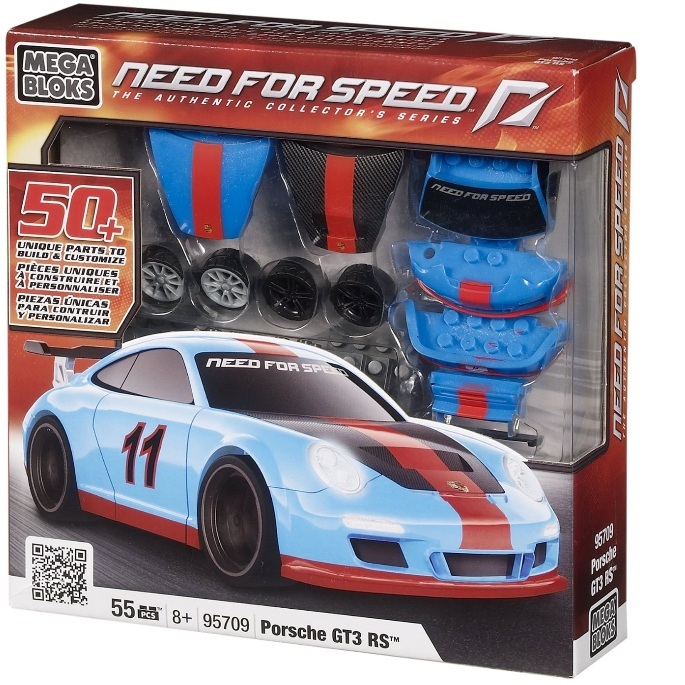 Build, play and display your Porsche GT3 RS for the whole racing world to see!